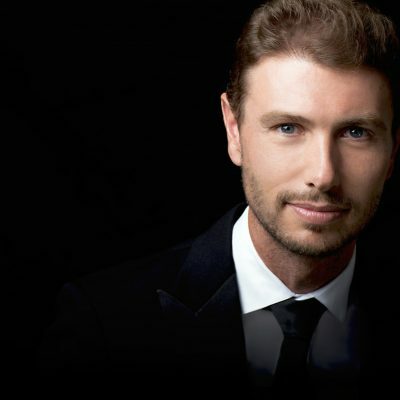 With mounting success in both symphonic and operatic repertoire, Jayce Ogren has established a reputation as one of the finest young conductors to emerge from the United States in recent seasons. Jayce began the 2018/19 season with summer appearances with the Hong Kong Philharmonic, the Brevard Music Center (NC) and his debut performance with the San Francisco Symphony at the 81st annual Stern Grove Festival, conducting Dvořák, Beethoven’s Piano Concerto No. 4 with Adam Golka and Sibelius’ Second Symphony. In the course of this season, he leads performances on two different series in a return to the Edmonton Symphony Orchestra with works by Berwald, Verdi, Korngold, Puccini, Mozart, Beethoven and Vaughan Williams, collaborating with mezzo-soprano Emily d’Angelo and pianist Joyce Yang; at the Santa Rosa Symphony with violist Nokuthula Ngwenyama as soloist in Harold in Italy, and at the Dallas Symphony, Omaha Symphony, and the Spokane Symphony Orchestra with Barber’s Second Essay, Prokofiev’s Symphony-Concerto and Mussorgsky’s Pictures at an Exhibition. Jayce will also offer a Pops Concert with the Portland Symphony Orchestra and three film evenings conducting the scores to Charlie Chaplin’s Gold Rush (Casa da Musica; Porto, Portugal), John Williams’ ET in Oklahoma City’s Civic Center and Terrence Malick’s documentary Voyage of Time for the Wordless Music Series at the Brooklyn Academy’s Howard Gilman Opera House. Recent seasons included return engagements with the Colorado Symphony, the National Arts Centre Orchestra in Ottawa, and with the Dallas, Indianapolis, and Edmonton Symphonies. Debuts have included those with the Melbourne Symphony Orchestra and Chorus for Terrence Malick’s The Voyage of Time at the Melbourne Festival (Wordless Music project), and the Hong Kong Philharmonic, leading the orchestra with film in Bernstein’s West Side Story. .
Ogren has led the boundary-breaking contemporary Orchestra 2001 to new heights in Philadelphia, engaging new listeners through exhilarating concerts, innovative artistic collaborations, and enriched community partnerships. His work there has included staged performances of Peter Maxwell Davies’ Eight Songs for a Mad King at the Philly Fringe Festival, Steve Mackey’s Slide, in Princeton at the Sound Kitchen, and at National Sawdust in Brooklyn, and the complete Yellow Shark by Frank Zappa. Also in Philadelphia, Jayce led the Symphony for a Broken Orchestra (December 2017), a work written by Pulitzer prize-winning composer David Lang for sounds that only broken instruments can make– 400 of them found in the Philadelphia school system. Musicians included Philadelphia Orchestra members, Curtis Institute and Temple faculty and students, and school kids—350 players arranged in teams around the periphery of the 23rd St. Armory, with the conductor in the middle. It was a huge musical event, and raised funds for the repair of the instruments, which were then returned to the schools for future use. As an opera conductor, Jayce Ogren has led the world premiere of Jack Perla’s Shalimar the Clown with the Opera Theatre of St. Louis; the US premiere and recording of Rufus Wainwright’s Prima Donna, La Cenerentola at Music Academy of the West, and Britten’s Turn of the Screw, Mozart’s The Magic Flute, Bernstein’s A Quiet Place, Rossini’s Mosè in Egitto, among others at New York City Opera. Ogren has established a notable reputation in contemporary music, having led The Ensemble Intercontemporain in Paris, projects with ICE (International Contemporary Ensemble) at Lincoln Center, at the Wien Modern Festival, and at Columbia University’s Miller Theater. He has led all-Stravinsky performances with the New York City Ballet and Basil Twist’s production of The Rite of Spring at Lincoln Center’s White Light Festival. The New York Philharmonic enlisted him to conduct their contemporary music series, CONTACT!, leading works of living composers with members of the Philharmonic. As a composer, Jayce Ogren’s works have been performed at the Royal Danish Conservatory of Music, the Brevard Music Center, and the American Choral Directors Association Conference. His Symphonies of Gaia has been performed by ensembles on three continents.